The Rough Terrain Pioneer ideal for West Africa. Manitou are internationally recognised as the inventor of the rough terrain forklift, with a 30 year pedigree in developing hard-working forklifts. Small and large industries across West Africa have found that not only are these forklifts exceptional, but our after-market service makes owning a Manitou a pleasure. From Ghana and Nigeria, to Liberia and Sierra Leone our sales, service and spares teams can be deployed to view your site, meet your team and talk lifting solutions. Our teams of factory-trained forklift engineers are based in Ghana and service, repair and inspect all types of cranes throughout the region regularly. Manitou forklifts are the result of years of job-proven performance and reliability. The vertical or straight masted lift truck is ideal where stability and manoeuvrability are essential. Machines offer excellent handling and compact manoeuvrability, unbeatable traction and unequaled comfort. Load damping is standard to enable the load to remain level and stable on difficult terrain, also necessary when lifting explosive materials. 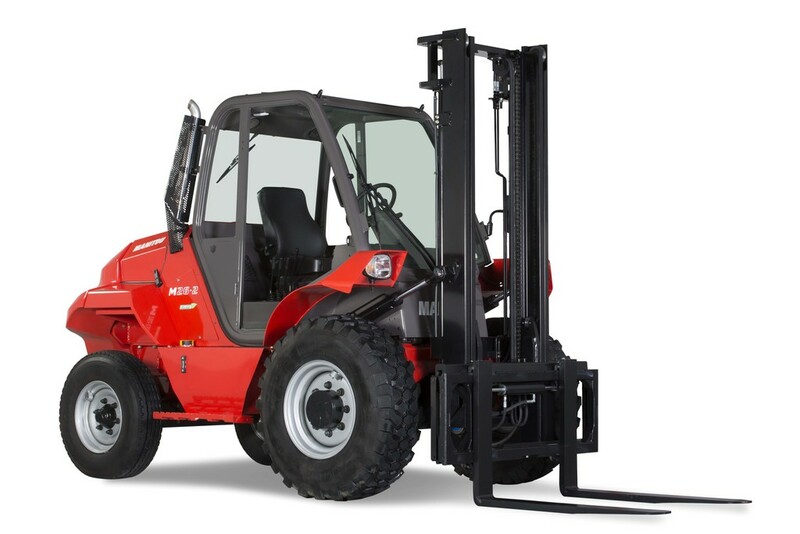 Manitou forklifts also come with a wide number of useful and easily changed attachments. Designed from the ground up as a true rough terrain lift truck. Operator comfort and easy maintenance priority issues.